This post contains affiliate links. 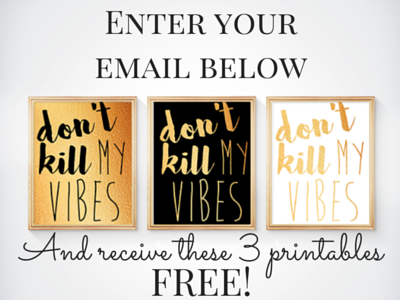 If you click on or make a purchase using these links I may make a small commission at no additional cost to you. 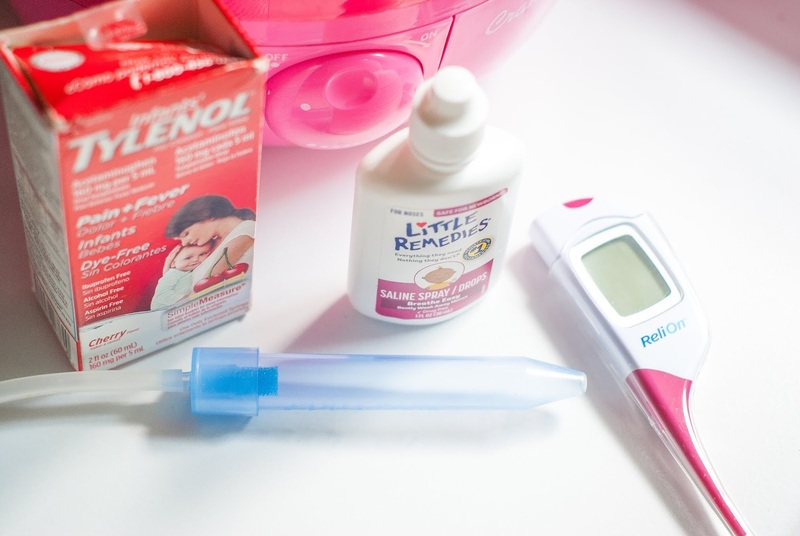 For a while after McKenna was born she was congested and just full of mucus and it was not fun. 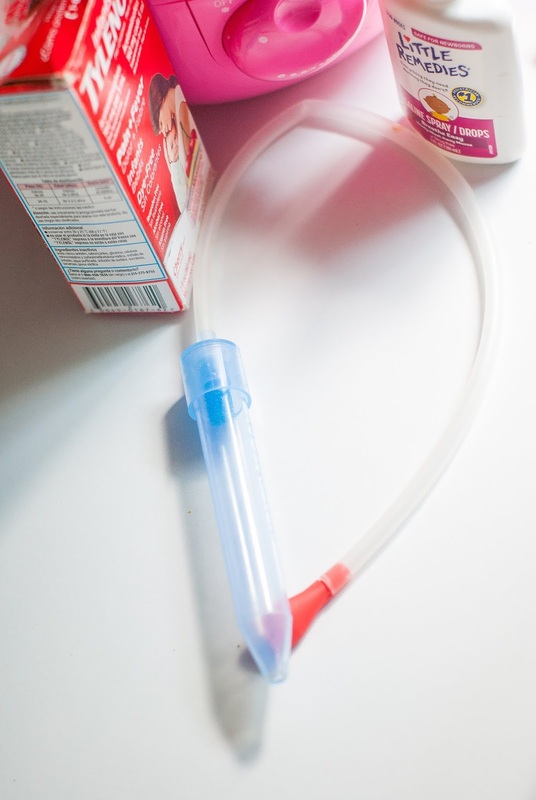 Of course I used the standard bulb syringe aspirator we got while in the hospital, but that didn't work as well as I hoped. All it took was a really bad cold she had a few months ago, but I finally caved and got a NoseFrida by Fridababy and IT IS THE BEST THING IN THE WORLD! The first time I used it I was amazed at how easy it made the whole mucus removing process. I swear by this thing, so if you're on the fence about adding it to your baby registry or getting one for yourself: JUST DO IT! This next item is one I caved and used the day after McKenna was born: the pacifier. The only thing that would kind of soothe her and help her pass the car seat test so we could leave the hospital was a pacifier and me holding her hands. 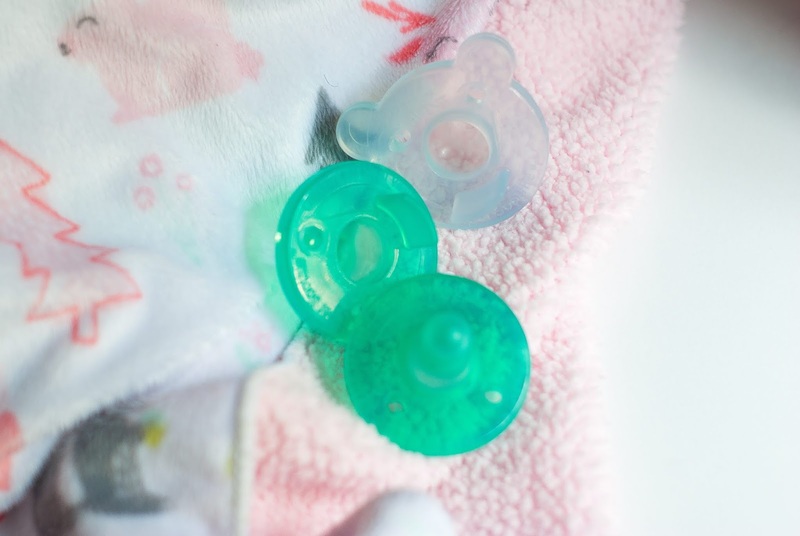 To this day these Super Soothie pacifiers are the only ones I've ever used. They really are super at soothing (sorry for the terrible mom joke)! They do disappear a lot (seriously, where do they go?! ), so I keep a couple stashed around the house just in case. After doing my own research I was against using walkers and jumpers for extended periods of time. 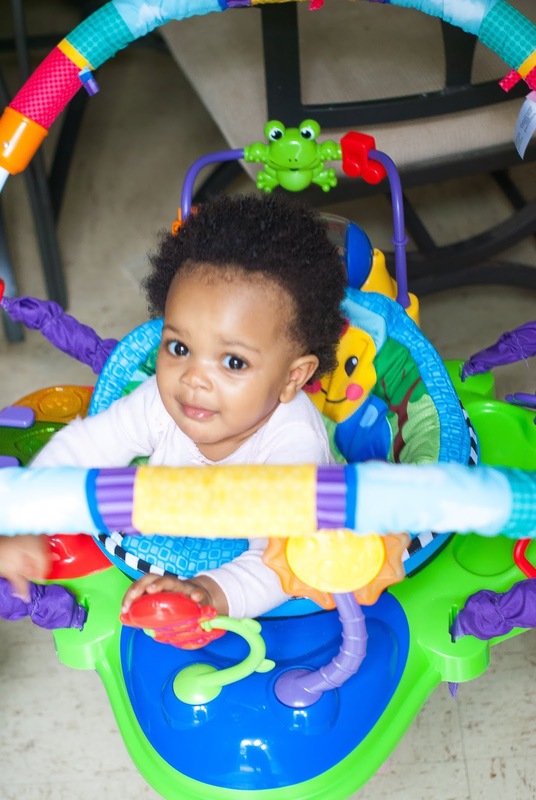 I stumbled across this Baby Einstein activity jumper while out shopping and it seemed perfect for keeping her busy when we need to get stuff done. I use it almost every morning while I make the two of us breakfast and I love hearing her squeal with happiness as she plays and bounces. 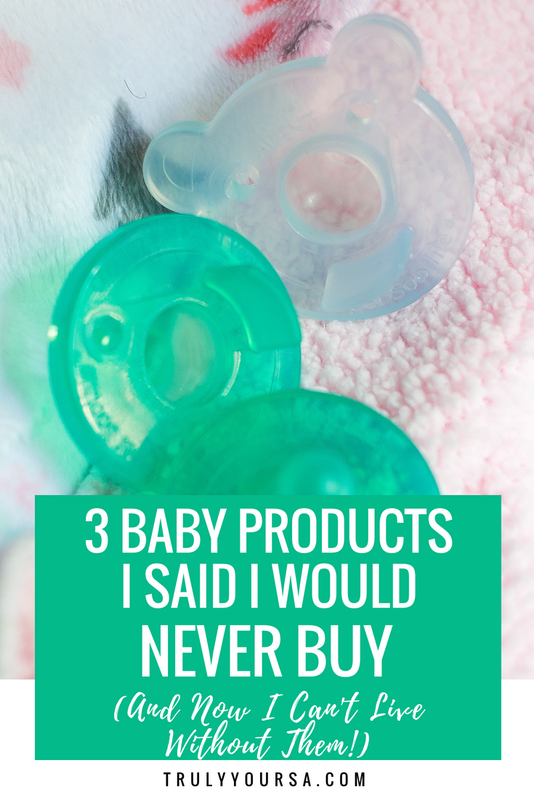 Are there any baby or toddler items you said you would never buy, but now you can't live without them? Let me know in the comments below! I'm always interested to know what products/items other moms stand by!! Oh, girl. I've long since lost track of everything I swore I'd never own. Lol! I think that goes hand-in-hand with, "Oh, I'll never do (insert disciplinary action here)!". Haha! Great post. If you get around to figuring out where the pacifiers go, hit me up. We seem to have hit a binky wormhole. 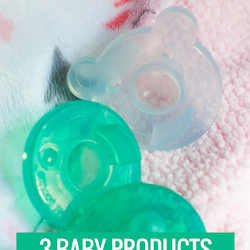 We used all three of those too (except different pacifiers). I think I had a lot more products I thought I’d use but didn’t. I definitely didn’t plan to use supply cups for as long as I am. I was all about kids learning to drink from open cup right away. Which they did. But it’s just so messy, so soppy cups it is. You have a great blog! I really enjoyed reading this! All of these products are great products! 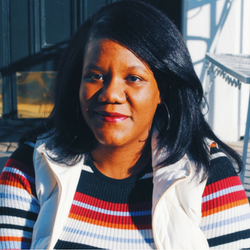 I was anti pacifier, until I became a mom of two. Those things really came in handy when both children wanted to be held at the same time lol. We had the activity jumper. These all sound like great products.